If you frequently dabble in the iOS jailbreaking community, you will be familiar with the oft-lifesaving little utility known as TinyUmbrella. For those uninitiated, it’s like a jailbreaker’s Swiss Army tool, allowing a device to, amongst other things, be kicked in and out of recovery mode with a touch of a button. Essential to downgraders, it allows unique firmware blobs to be stored away for a later date when one may want to revert to an earlier iteration of iOS. Of course, the aforementioned features are merely a drop in the ocean, and the ever-reliable tool has just been updated quite significantly, adding the ability for iPhone 4 GSM/CDMA, 4S users to save BBTickets for use at a later date. Also supported is iPad 3G, iPad 2 3G, iPad 2 CDMA, iPad 3 GSM, and iPad 3 CDMA. TinyUmbrella dev Notcom has suggested previously of such a feature, and although hasn’t disclosed much regarding how the BBTickets will actually pan out, but according to another hacker ih8sn0w, they are baseband-related, thus saving them will certainly increase your prospects of unlocking your iPhone in future. Step 1: Download TinyUmbrella [Windows / Mac] and run it. Step 2: Connect your device to your PC or Mac. 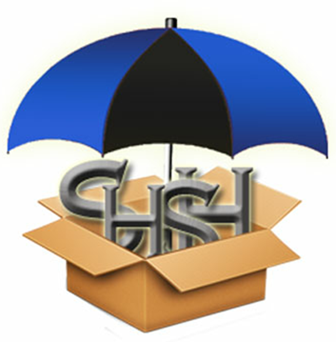 Step 4: Now, simply hit the “Save SHSH” button and you’re good to go. As usual, TinyUmbrella caters to downgrading for those with previously saved blobs of target firmware. Downgrading without a utility such as TinyUmbrella can be difficult because, simply put, Apple doesn’t want you to downgrade and subsequently unlock or jailbreak your device. Once a new iOS iteration is released, your devices and iTunes will naturally spam you with pop-ups urging you to update to the latest firmware. Apple will continue to sign the previous version for a couple of weeks thereafter (meaning you can restore to it through iTunes), but once that period has passed, the onus is on the shoulders of applications like TinyUmbrella. iFaith is another great tool for those partial to a firmware downgrade, and you can check out the latest tutorial on how to downgrade your iOS software using iFaith by following this link.